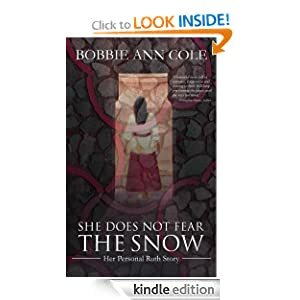 Bobbie Ann Cole’s inspirational memoir charts her personal journey to faith and redemption. Broken by cancer and the failure of her marriage, she visits Israel, seeking direction and new meaning for her life. She has a profound spiritual experience in a Jerusalem church, where, as a Jew, she’s not supposed to be. Her experience there marks the start of a chain of supernatural events, through which God reveals His purposes to her. This transformational story of love, set on three continents, echoes that of biblical Ruth, who accepts faith in the Land of Israel and receives God’s blessing in the shape of a new husband of faith, a Canadian.